Because people on Twitter know I’m obsessed with drink driving law quite a few of them pointed me to the case of Yaya Toure earlier this week. My daughter has been ill so I’ve not had a proper chance to look at it until now but when I did I thought it was worth a write up to explain some of the confusion that seemed to abound on social media about this case. 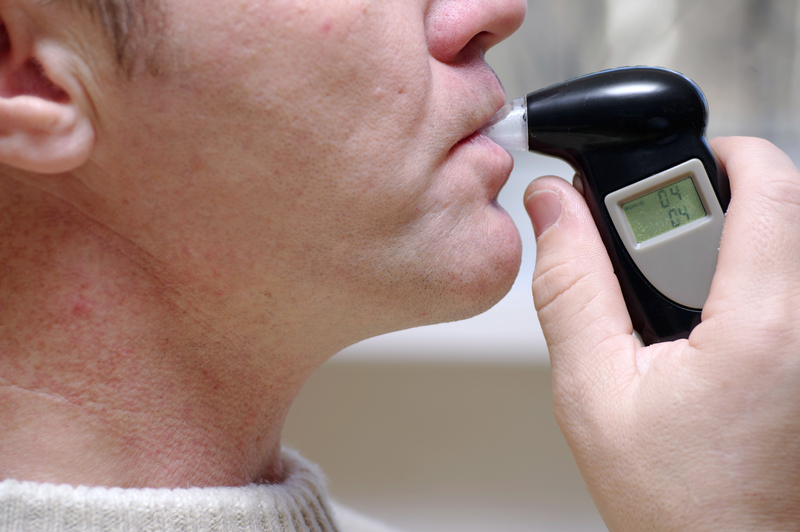 The accusation is that he drove after consuming so much alcohol that the proportion of it in his breath exceeded the prescribed limit – that’s drink driving to you. To his credit, he immediately accepted that he had committed the offence and entered a guilty plea at court, but a hearing was scheduled for him to argue that his drink had been spiked. If somebody spikes your drink with alcohol and that causes you to be over the drink driving limit when you drive, you can avoid a driving ban arguing that the spiking is a special reason not to disqualify you. Mr Toure’s case is interesting because his reading was high yet he is teetotal for religious reasons (and presumably because being a highly-fit athlete doesn’t mix well with binge drinking). That didn’t stop District Judge Lucie saying, “the reading is a high one and it is inconceivable that you were unaware of having consumed alcohol.” Anybody who has experience of DJ Lucie in drink driving cases will not find that surprising in the slightest. In his evidence, Mr Toure told the court that he had been to a party where he was the designated driver for himself and his friends. He told the court that he poured himself Diet Coke from a jug. He said that the Coke tasted odd and that he felt tired. He denied recognising the signs of intoxication, which is perhaps not surprising if he does not drink. I am surprised by Mr Toure’s decision to go down the special reasons route if those were his instructions from the beginning and even more surprised by the District Judge’s reason for conviction, assuming the press reports are accurate (which they often are not). While I do not think it inconceivable that a teetotaller would fail to recognise that he was intoxicated I do find it inconceivable that none of the lawyers in the room that day were aware of the case of Robson v DPP in which a Rastafarian who was also teetotal for religious reasons was refused special reasons on the basis that he failed to make sufficient enquiries as to the make-up of the fruit punch he was drinking. The similarity with Mr Toure’s decision to pour himself some Diet Coke from a communal jug without enquiring as to its contents is striking. The problem only escalates once you remember that Mr Toure gave evidence that the Coke tasted odd – a warning sign to any driver that they should check what they are drinking. In those circumstances, it is difficult to see how the special reasons application could ever succeed. Turning to the sentence imposed. The case made headlines because of the size of the fine, £54,000. This was reduced from £81,000 following Mr Toure’s guilty plea. It is the largest fine ever imposed on a drink driver, although that may not be surprising since the fine was capped at £5,000 until relatively recently. One area in which Mr Toure may wish to consider an appeal is in the length of the disqualification imposed upon him. The news reports tell us that Mr Toure blew 75 microgrammes of alcohol in 100 millilitres of breath, which is slightly more than double the legal drink driving limit. The sentencing guidelines tell us that this should attract a ban of around 18 months. The District Judge imposed 18 months but also accepted that Mr Toure had unknowingly consumed alcohol. If we look at the sentencing guidelines we see that under the heading “factors indicating lower culpability”, number 2 is “spiked drinks… even where not amounting to special reasons”. I happen to know that this judge will not reduce the disqualification to reflect the guilty plea but there is no reason why the ban should not be reduced to reflect the fact that Mr Toure did not intend to drink and drive and did not realise he was doing so until shown the breath test result by the police. I have acted in similar cases and have successfully argued that the driving ban should be reduced to the 12-month minimum plus a reduction for the drink driving rehabilitation course. I accept that the DJ reached the view that Mr Toure should have known he was intoxicated, but I do not see how such an argument can stand up to even the mildest scrutiny. By way of analogy, carbon monoxide is a gas that affects your perception of the world around you as it kills you, so you would be highly motivated to do something if you realised you were being poisoned by it, yet neither I nor you would recognise it happening if we were being killed by it because we’ve never experienced it – indeed that is why the stuff is so dangerous and kills people every year! To argue that somebody who does not consume alcohol would recognise the effect of alcohol upon them is simply not sustainable. For that reason, I think there is scope for an appeal based on the facts reported in the press. Can I supervise a learner driver if I have been drinking alcohol? If you’re looking for a quick answer then it is, “no”. If you want to know why you cannot supervise a learner driver after drinking, then please read on. First, I have a confession to make. I lied in the first sentence, a bit. You can supervise a learner if you have been drinking, providing you remain below the drink driving limit – but knowing when you’re over or under the drink driving limit is the hard bit, so it’s easier just not to drink if you plan on driving or supervising a learner driver. In 1968, Mr and Mrs Jones went out for the evening during which, Mr Jones had some drinkies. At the end of the night, Mrs Jones drove herself and her husband home. For reasons I don’t fully understand, Mr Jones was travelling in the front passenger seat with another passenger between his legs – there were four people in this five-seat car so I’ll leave you to imagine why this passenger was between Mr Jones’ legs. During the journey, the Jones’s Vauxhall Viva collided with a Hillman motorcar driven by a Mr John Orman. Immediately before the crash, Mr Jones had attempted to apply the foot brake but was unable to do so, presumably because of the person between his legs. Frankly, Mr Jones was lucky that particular admission to the police didn’t end up with him facing a charge of drink driving, especially as police initially believed that Mr Jones had been driving and that Mrs Jones was claiming responsibility due to Mr Jones’ drunken state. Eventually, the police accepted that they could not found a prosecution for driving against Mr Jones so Inspector Sheldon brought a charge of being drunk in charge of a motor vehicle and the case went to trial. At the trial, various points were argued over but the relevant ones for us are that it was said a) Mr Jones could not be in charge since his wife was driving; and b) even if he were in charge he had a defence as there was no likelihood of him actually driving while he was drunk and his wife was present. Much to everybody’s surprise, Mr Jones won his trial and the prosecution appealed to the High Court in a case that became known as Sheldon v Jones. The Crown argued that as a supervisor, Mr Jones could be required to step in to take control of the vehicle at any moment – as somebody put it, a supervisor cannot simply choose not to discharge his obligation to supervise the learner. On the Crown’s case, because Mr Jones might be called upon to take control at any moment, he could never prove that there was no likelihood of his driving the car while he remained over the drink driving limit. So, Mr Jones was not guilty and today we have a precedent for the proposition that a supervisor is in charge of the vehicle he travels in when supervising a learner driving but that he can prove that there was no likelihood of his driving, meaning that he can be acquitted of being drunk in charge even when he is demonstrably in excess of the drink driving limit. Contrast Mr Jones’ case with that of Mr Janman, who in 2004 was also acquitted of being drunk in charge while supervising his partner who held only a provisional driving licence. In DPP v Janman, the High Court approved the law set out in Sheldon v Jones but found that Mr Janman had not proven that there was no likelihood of his driving and they directed the magistrates to reconsider the case and convict Mr Janman. In Janman’s case, the defence sought to argue that the prosecution could not prove that Mr Janman was qualified to supervise his partner and thus he could not be guilty. The High Court disagreed, saying that in his police interview Mr Janman had admitted to supervising his partner and once he did that the question of whether he was qualified to supervise became irrelevant as “supervision” is a question of fact not law. Mr Janman also argued that his partner was such a good driver that she did not require supervision. This also was dismissed on the basis that she held a provisional driving licence and so required supervision, which Mr Janman had admitted to the police he was providing. As a direct result of the comments made in his police interview, Mr Janman was eventually convicted of the offence. So, what’s the moral of the story? First, it is possible to win a drunk in charge trial where you are supervising a learner driver, but it’s not easy. Secondly, you should always have a solicitor who specialises in drink driving law at your police interview if you are accused of a drink driving offence – having no solicitor (or the wrong solicitor) frequently leads to convictions. Will my driving ban be reduced if I plead guilty? If you choose to plead guilty to a criminal offence you can normally expect to receive a reduction in the length of your disqualification thanks to section 144 of the Criminal Justice Act 2003 which requires the sentencing court to take into account when the guilty plea was entered and the circumstances of the plea. While it’s widely accepted that pleading guilty reduces your sentence, confusingly though most lawyers also believe that a driving disqualification is not part of the sentence and so cannot be reduced following a guilty plea. This is something we at Oxford Drink Driving Solicitor come across regularly; it is wrong in law and the unwillingness of solicitors and judges in the magistrates courts to objectively consider the status of the driving ban leads to injustice every day. This is also one of the reasons Lord Sumption is wrong to say specialist legal advice is not worth the effort. Before we can decide whether the driving ban is part of the sentence or not we need to know what, in law, a sentence actually is. There is no doubt that drink driving and the associated offences are criminal convictions and that the driving ban is imposed only after conviction for drink driving. So we must go on and address each of the four points raised by the court in Welch. Is a driving ban a sentence? We must look to the Scottish case of Gemmell v HM’s Advocate, in which a five judge panel headed by Lord Justice Clerk considered whether a driving ban was a sentence under Scottish law – it’s worth saying that while there are differences between Scottish and English law there are no differences between the legislation in this particular area.The court held in Gemmell that a driving ban serves two purposes, first to protect the public but second to punish the offender. Lord Justice Clerk described a driving ban as a “deprivation of liberty” in his judgment. Again, we can see Gemmell telling us that a disqualification is a sentence. But, while Gemmell is persuasive authority in England the courts here are not obliged to follow it. We can also look at the Road Traffic Offenders Act 1988, which gives courts the power to disqualify a defendant following a drink driving conviction. The part of the Act that conveys this power is entitled “SENTENCE”, so we can be in little doubt about how Parliament characterised the power to disqualify when it enacted it. The procedure for making and implementing the order is indivisible from the procedure involved in making and implementing the rest of the sentence. The court hears about the case, hears mitigation, considered the sentencing guidelines and then proceeds to impose the disqualification along with the rest of the sentence. If the defendant is acquitted there is no power to disqualifying him from driving. This is not always the case in criminal law, for example, a man accused of assaulting his wife can be made subject to a restraining order following acquittal by the court. It is clear that the European Court of Human Rights takes the view that both driving disqualifications and penalty points are penalties and thus part of the sentence imposed upon an individual. The Scottish court of appeal has stated very clearly that not only is a disqualification a sentence but that it also falls to be reduced if the offender pleads guilty. English courts have not explicitly said that driving disqualifications are part of the sentence or that they should be reduced after a guilty plea but given the authorities from Scotland and Europe it seems inevitable that they will eventually have to accept that driving disqualifications can indeed be reduced. Lord Sumption is one of the most senior judges in the country. He is the only person ever to be appointed direct to the Supreme Court from the Bar and is generally considered a very clever lawyer. As a barrister, he prided himself on switching areas of law throughout his career – in a recent speech he described specialisation in law as “bogus” and that solicitors would do well to dip their toes in other areas of law. His point is that over specialisation causes solicitors to become insular and fail to relate case law in their specialisation to law from outside. To an extent, Lord Sumption is correct that an appreciation for the law in general is important to all of us who choose to specialise in a particular area, but he is quite wrong to describe specialisation as “bogus”. We were recently approached by a potential client, John, who was accused of being drunk in charge of a motor vehicle. He explained that he had no intention of driving and was simply waiting for his partner to collect him – this is a complete defence in law to the allegation. Getting everything right was very important because John already had 6 penalty points on his driving licence and so faced disqualification if convicted. This meant that not only did John’s driving licence, job and home rely on his winning the case but so did his application for British citizenship. Unfortunately, at the last minute John decided to go with a non-specialist solicitor to save a relatively small amount of money. At court, the prosecution was willing to accept that John’s partner was going to collect him – that’s half the defence done right there. But, the non-specialist solicitor advised a guilty plea and said she would tell the court that disqualifying John would cause exceptional hardship. If successful, this would mean that John would be allowed to keep his driving licence. The court imposed 10 points, giving John a total of 16 and disqualified him from driving under the totting up provisions. Following the hearing, John got back in touch saying he was unhappy with the advice he received from the non-specialist solicitor and the outcome of the case. He wanted advice on appealing his conviction since he clearly had a strong defence to the allegation. Unfortunately, we had to advise him that by pleading guilty he had all but given up his right to appeal conviction. We explained that while it is possible to argue that poor legal advice should allow his guilty plea to be overturned the advice would have to be so bad that the guilty plea was no longer a true admission of guilty. In a case such as this, an appeal court would be very unlikely to find that to be the case. Had he gone to trial with a specialist solicitor, there is a very good chance that he would have been acquitted. This would have meant that he would have kept his driving licence, kept his job and neither his home nor application for British citizenship would now be in jeopardy. So, while it is well and good for Lord Sumption to call legal specialisms “bogus”, the reality for many is that choosing a non-specialist solicitor leads to poor outcomes that could easily be avoided by choosing the right solicitor first time. Nick Diable represented Mr S before the magistrates’ court where S was accused of drink driving. He had been seen driving by the police, made admissions to drinking when stopped and provided a positive specimen of breath at the police station. He instructed us that he wanted to plead guilty but would like some help reducing the length of the disqualification. S explained that he had no memory of getting in the car and could not explain why he decided to drive. He remembers deciding that driving was a bad idea and so decided to pull over. He went through a red traffic light and stopped immediately beyond the junction. A passing police car saw him jump the light and came to investigate. When tested, S had 74mg of alcohol in 100ml of breath, putting him more than twice over the drink driving limit. This would mean a driving disqualification of up to 22 months for a first time offender. We advised S to obtain character references to show that he is normally a responsible person who would not normally commit a criminal offence. We discussed the sort of people who S should approach and the sort of things they should say. But, S felt unable to approach anybody because he was genuinely ashamed that he had got behind the wheel while over the drink driving limit and couldn’t bring himself to tell people outside his immediate family. In court, Nick focused on the short distance S had driven and explained that while S had made the decision to drive he had, to his credit, also decided to stop within 50 yards of setting off. Although he jumped the red light, he did so in the knowledge that the junction was clear and there was no danger to other road users. Nick also discussed S’s reaction to the offence he committed and that he was genuinely remorseful and ashamed of his actions – so much so that he had not even been able to obtain evidence that would assist his defence before the court. Nick went onto make submissions to the court that they treat the driving disqualification as part of the sentence and reduce the length of the disqualification to reflect S’s guilty plea under section 144 of the Criminal Justice Act 2003. This is often a contentious argument because many lawyers take the (incorrect) view that a driving disqualification is not part of the sentence but is an ancillary order and so cannot be reduced in light of a guilty plea. In this case, the magistrates’ accepted Nick’s submissions and agreed that the disqualification should be reduced both in light of the guilty plea and following the mitigation put forward by Nick on S’s behalf. As a result, S was fined and disqualified from driving for 12 months. He was allowed to take the drink driving rehabilitation course, which will further reduce his driving ban to 9 months instead of the starting point of up to 22 months. To those of you heading out to celebrate, have a good night and remember not to drive if you are planning to drink – maybe that sounds like strange advice from a solicitor who specialises in defending drink drivers? I don’t think it is, because as solicitors our job is to ensure those who are accused of a crime receive the very best legal advice and representation when they are accused. That doesn’t mean we are here to encourage anybody to put themselves or others at risk. But, the truth is a lot of people commit offences unintentionally. Very few drivers we represent went out planning to drink drive; most misjudge the amount of alcohol they can safely consume and remain under the drink driving limit. That’s why we say not to drive if you plan to have anything to drink. We also see a lot of people who wake up the morning after a night out, get behind the wheel feeling fine only to be stopped by police and discover they are over the limit. Thames Valley Police have recently been celebrating the success of their Christmas drink driving campaign in which more than 300 people were arrested between 1 December 2015 and 1 January 2016. Comments from individual officers in the run up to St Patrick’s Day suggest that police across Oxfordshire – indeed across the whole Thames Valley area – have been conducting a mini-drink driving campaign. You can expect police officers to be on the look out for anybody they think might be drink driving throughout St Patrick’s Day and all over the weekend. Don’t be surprised to see more officers than usual on the streets and a spike in drink driving arrests across the whole weekend. We hope you don’t find yourself accused of a crime you never intended to commit, but if you do then do not hesitate to call us on 01869 866 490 for the best representation available from expert and experienced drink driving solicitors. According to news reports this week, Alan Otterburn appeared at court in Norwich accused of drink driving. He told the court he had received an urgent call to get to the hospital quickly as his mother had just hours to live. He rushed to see her, but was stopped by the police for speeding and they quickly realised he had been drinking. He was arrested and at the police station was found to have 82 microgrammes of alcohol in 100 millilitres of breath, which is well over double the drink driving limit of 35µg per 100ml. At court he pleaded guilty and asked the court to take the circumstances into account as a special reason. If the court agreed this was a special reason it would mean that the judge would no longer be required to disqualify Mr Otterburn from driving. We can see that Mr Otterburn’s explanation for drink driving is a mitigating or extenuating circumstance. It is not a defence in law to drink driving and it is directly connected with the commission of the offence – had he not received the call he would not have been driving. So, on the face of it Mr Otterburn has a special reason to avoid disqualification. However, District Judge Peter Veits ruled against Mr Otterburn finding that there was no special reason and thus that he was obliged to disqualify him from driving. Given that Mr Otterburn’s explanation fulfils the requirements for a special reason why then did the district judge find against him? The answer to that lies in the evidence given by Mr Otterburn and the case of R v George John Baines, which was decided in 1970. In Baines case, he argued that he should not be disqualified as he had only driven to help his wife’s elderly mother who had run out of petrol after midnight and a long way from home. Mr Baines came unstuck because he failed to consider whether there might be another way he could help his mother-in-law that did not involve him drink driving. The court will only grant a special reason where driving is the only option, Mr Baines lost his case. 46 years after Mr Baines lost his case through his failure to think through his options, Mr Otterburn gave evidence telling District Judge Veits that, “I didn’t think about getting a taxi.” The news report goes on to say that he did not think he could use public transport nor get a lift from a neighbour, the suggestion being that no effort was made to discover whether he could have travelled to the hospital by another means. The moment the court heard that there had been no real exploration of other options Mr Otterburn’s case was doomed to fail in the very same way Mr Baines case had done nearly half a century before. I am sure that Mr Otterburn’s solicitor advised him about the likelihood of his winning the special reasons hearing based on his instructions, but this case shows why it is so vital that solicitors have a strong grasp of the law when they appear in drink driving cases. In this short post, we look at how an in-depth knowledge of motoring law can reduce your driving disqualification. Mr S was seen by police to jump a red traffic light while travelling at speed in the early hours of the morning, he was stopped and found to be over the limit. At the police station, his breath sample showed that he had 85 microgrammes of alcohol per 100ml of breath – the legal limit in England and Wales is 35 – and was charged with drink driving. The sentencing guidelines indicate a starting point for the disqualification of around 22 months for such a high reading, especially where the offence is aggravated by poor driving, such as jumping a red light and speeding. At court, Mr S agreed that he would plead guilty and instructed Nick Diable to mitigate on his behalf and reduce the length of the disqualification, if possible. Mr S works in an office but drives out to meet clients at least three times a week. His employer had agreed to keep him on despite the inevitable loss of his driving licence; however, as his ability to visit clients would be reduced this was likely to impact on his ability to sell to clients and thus reduce his income as he works on commission. Having taken instructions, it was clear that this was a situation to deploy the case of R v Geale, which was a case decided by the Court of Appeal in 2012. Geale involved a coach driver whose lapse in concentration resulted in the death of a 10 year old boy. The court ruled that “… as a professional driver a disqualification will impose a particular financial hardship upon [Geale]…”. They decided then to reduce the length of the disqualification. Although Mr S was not a professional driver, the disqualification would nonetheless impose a “particular financial hardship” upon. Nick therefore invited the court to consider this case and set out how the disqualification would impact upon him. After hearing the mitigation, the court agreed to reduce the length of the disqualification from a 22 month starting point to 16 months. They also allowed Mr S to take the drink driving rehabilitation course, which further reduced the length of his ban to 12 months. 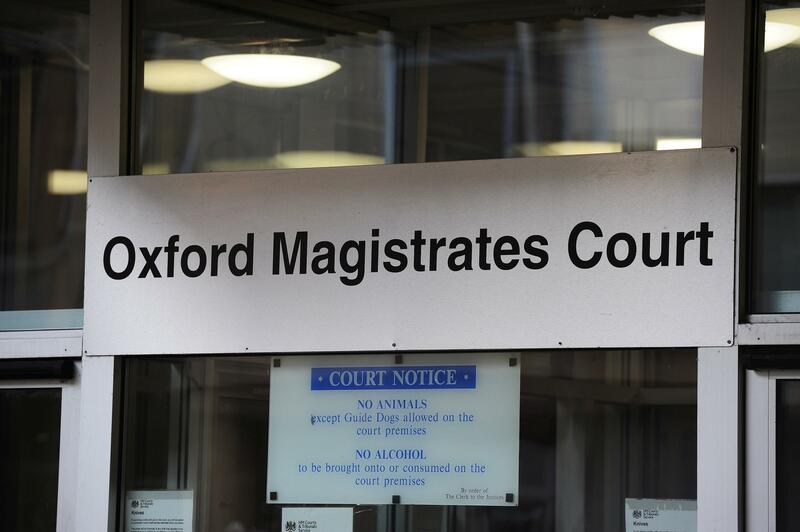 In addition, the magistrates reduced the fine from £510 to £340. If you find yourself in need of expert legal advice on a drink driving matter then do not hesitate to contact the Oxford Drink Driving Solicitor on 01869 866 490. Do I need a solicitor if I plead guilty? What can a solicitor do for me? I am a solicitor based in Oxfordshire specialising in drink driving cases. I often see people in court who have attended without a solicitor to represent them; often I see them getting much longer driving bans and fines than they would if I had been representing them. Having spoken to a lot of people about this, I’ve come to the conclusion that many people don’t understand what a solicitor can do for them when they plead guilty. I was told by a fellow solicitor that he often attends court in drink driving cases but rarely has much impact on the outcome of the case. I was surprised to hear that because there is a lot a solicitor can, and should, be able to do for somebody who is pleading guilty. For me, the case begins long before we get near the courtroom. I always request the prosecution evidence in advance so that I can sit down with my client and advise them about it. I can identify aggravating factors that will increase the sentence and plan with the client how we will deal with those. I also look for any mitigating factors that will help reduce your sentence. I can also talk you through the court process and what to expect – something I find worries a lot of people. Ensuring that every client has the best advice on their prospects of winning a trial is a very important part of the defence solicitor’s job. Our justice system is adversarial, meaning that the prosecution must prove the case against the defendant – if they cannot then the defendant is not guilty. It does happen that a client will intend to plead guilty but upon seeing the evidence it’s clear that the prosecution cannot prove their case and they are eventually acquitted. A first time offender who is normally a responsible person can help herself a lot by obtaining character references. These help convince the court that this incident is out of the ordinary and have in the past made the difference between a client going home or going to prison. It is sometimes claimed that the court’s legal advisor or the duty solicitor will help unrepresented defendants – don’t count on it. A duty solicitor is there to help defendants facing a prison sentence and will not always get involved in drink driving cases. So far as the legal advisor is concerned, let me put it this way: I witnessed a defendant in court today plead guilty then put forward mitigation that was clearly a defence. The legal adviser simply ignored this contradiction and allowed the bench to sentence him (and seize his car into the bargain). Not really the sort of help you want and despite the name, legal advisors are not always legally qualified to the standard of a solicitor. In court, the prosecution will set out their case to the magistrates after which I will set about mitigating on your behalf. Mitigation has two very broad headings, first is mitigation relating to the offence – such as why your actions are not as serious as the prosecution say they are. The second is personal mitigation, one of the aims of which is to engender some sympathy for you from the court – so it may focus on our family, your work, both or something entirely different. I am a great believer in knowing your audience so I do my best to watch the magistrates before my case is called on to get a feel for what sort of arguments are likely to work and, which are doomed to failure. Mitigation is also the time for legal arguments. In England, you will usually get a reduced sentence for pleading guilty but most non-specialist solicitors and magistrates mistakenly think this does not apply to driving disqualifications. It does and there is a wealth of law cases from home and Europe to prove this. This point is one of the most commonly deployed legal arguments. One of the most important jobs your solicitor can do is to keep the judge from exceeding his or her authority. Last year, I dealt with two cases within a week of one another where the District Judge in one case and the magistrates in the other imposed a sentence wholly incompatible with the sentencing guidelines. Obviously, I was able to spot the errors quickly, address the bench and cite the appropriate law so as to convince the court that it was exceeding its powers. After the hearing it is very important that you understand exactly what has happened in the court room because it can have a big impact on you in future. So, after the hearing I will always discuss the case with my clients after the hearing to make sure they understood what was said by the court and what that means for them. What impact can your solicitor have on the outcome? Instructing the right solicitor who understands the very specialised law surrounding drink driving offences can have a big impact on the outcome of your case. We’ll briefly look at a couple of recent cases to see what impact a solicitor can have on your case. In the first, the defendant had no previous convictions, was a family man and a business man who had been out with friends and thought he was being sensible by only drinking two glasses of wine when his friends consumed far more. It was clear from speaking to him that he did not think anything to do with his personal life was relevant and so would not have told the court about it had he been unrepresented. In fact, I took the court through the circumstances of the offence, explained to them about his family life and his business. I was able to build a picture of an honest and responsible man who had made a mistake and who was genuinely remorseful for his actions. The court indicated that the correct starting point was a fine totalling 150% of his weekly income and a 16-month driving ban. After hearing the mitigation they reduce the fine to 50% of weekly income and a 12-month ban. They further reduced the ban to 9-months upon completion of the drink driving rehabilitation course. In the second case, the defendant had been caught drink driving after police saw him speeding and jumping a read light. He was more than twice over the drink driving limit and facing a disqualification of 22 months. In mitigation, I cited case law that says the court should take into account the impact on the defendant’s career. The court agreed and reduced the sentence to 16 months – after the drink driving rehabilitation course that is a 12 month disqualification. So, in conclusion: what can a solicitor do for somebody pleading guilty? Rectify any mistakes by the court before they cause you a problem. You can get expert legal advice and quality advocacy for your case from Oxford Drink Driving Solicitor (01869 866 490).